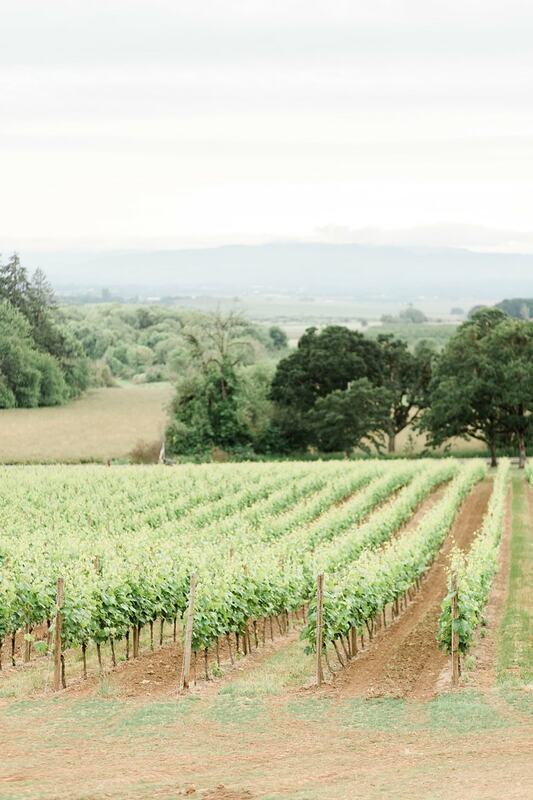 When most people think of Oregon, they imagine lots of rain and forestry. 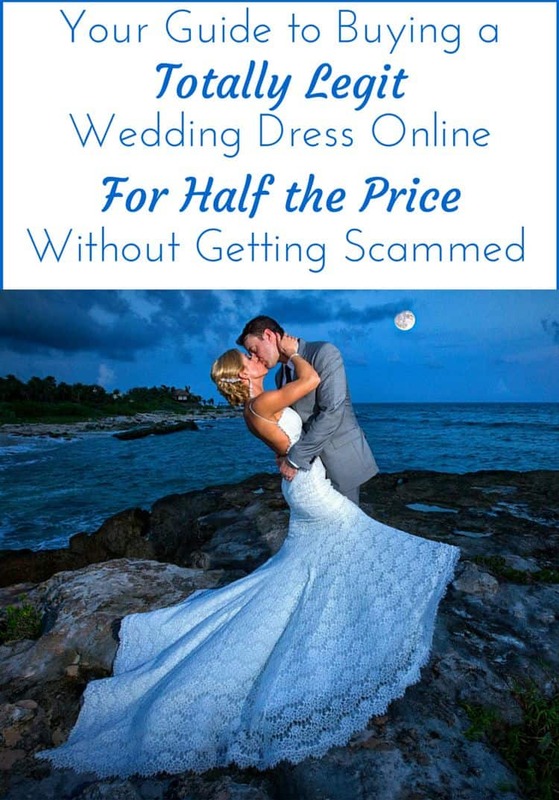 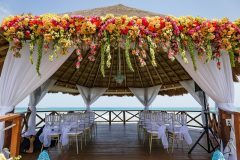 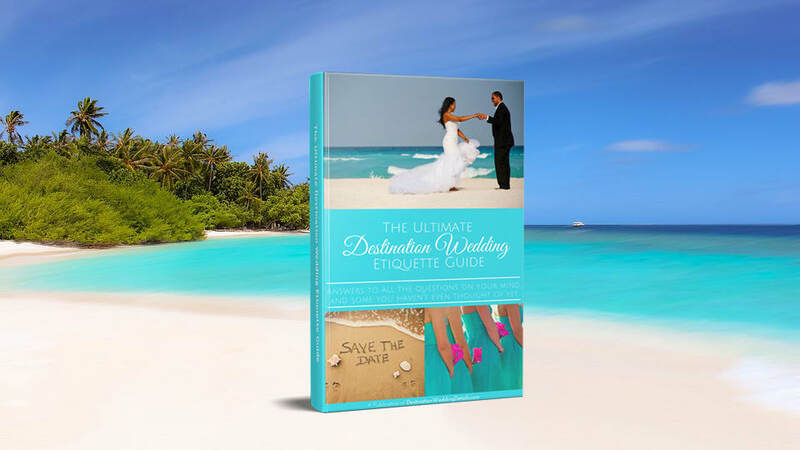 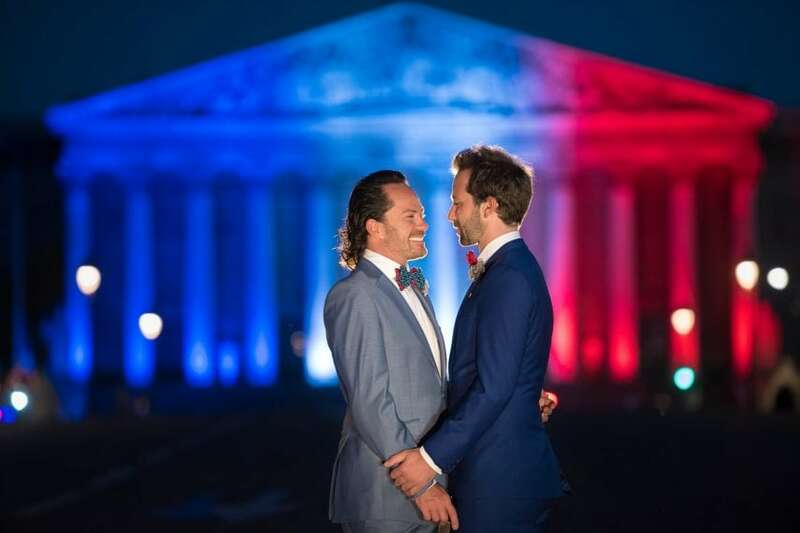 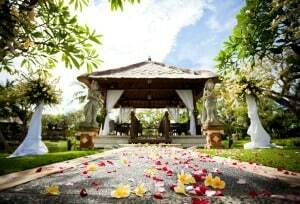 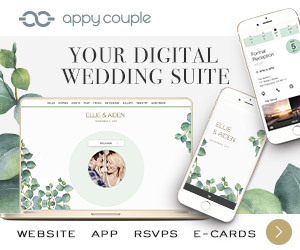 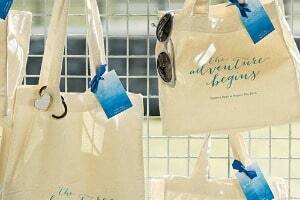 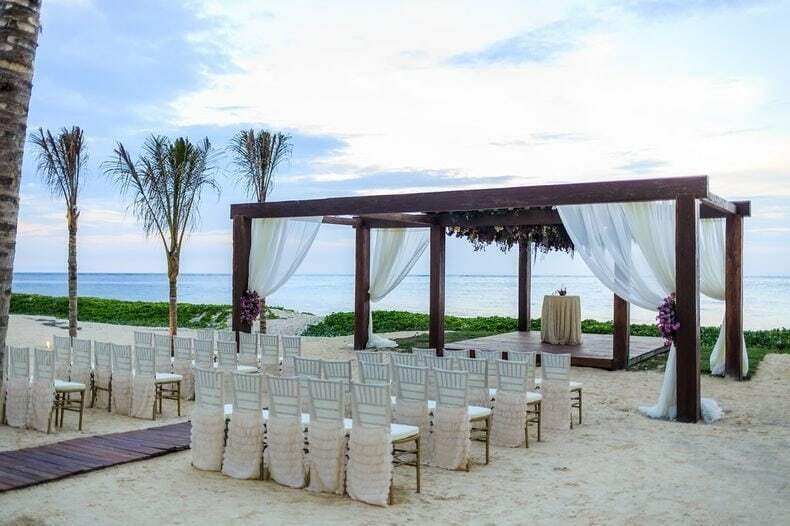 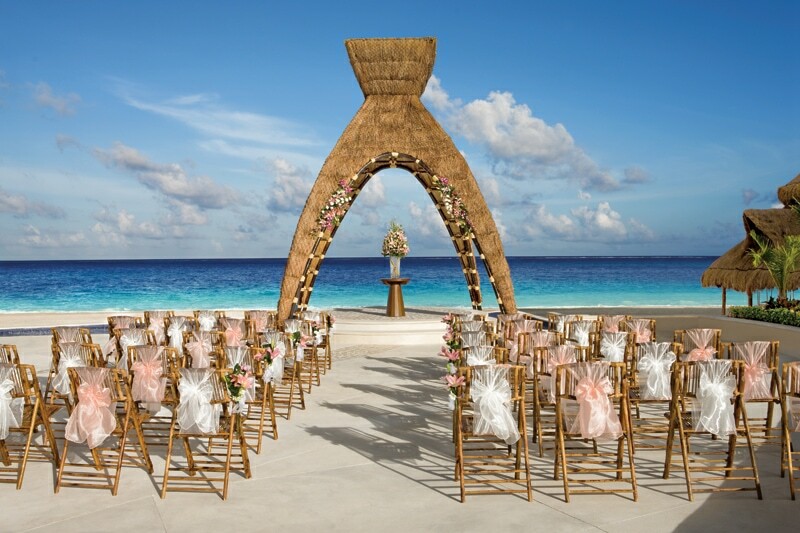 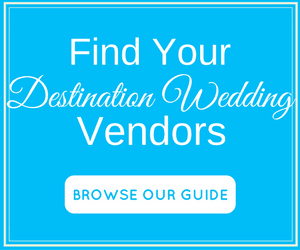 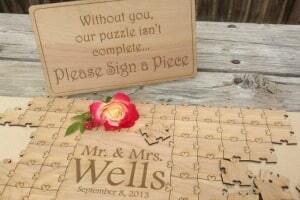 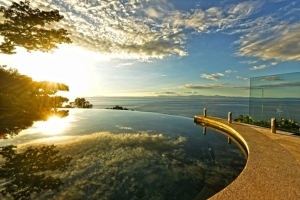 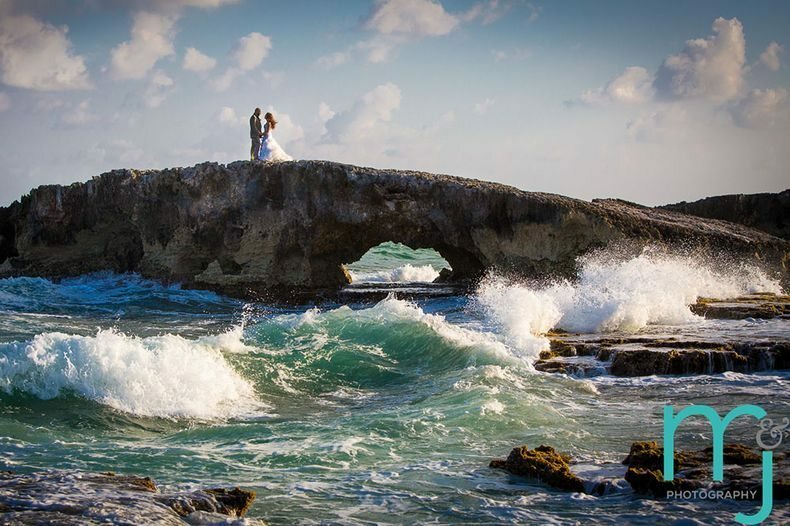 It might not be the first place that comes to mind when you envision a destination wedding. 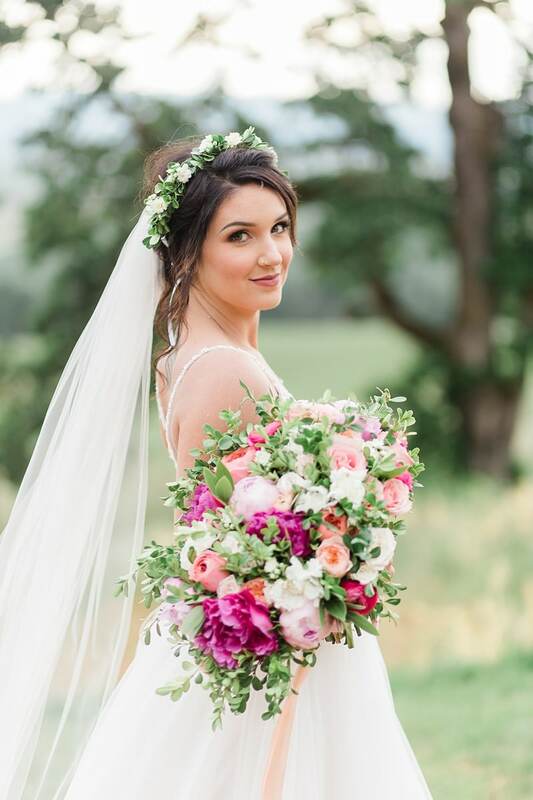 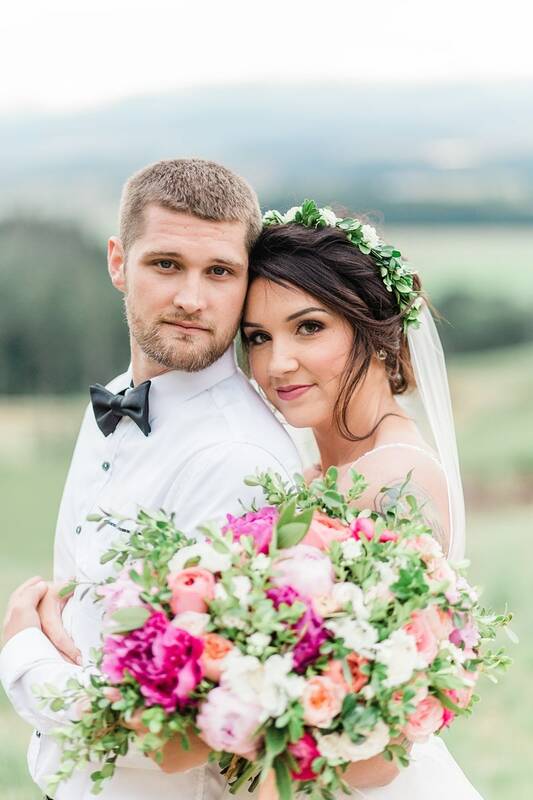 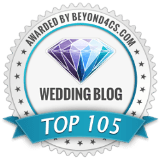 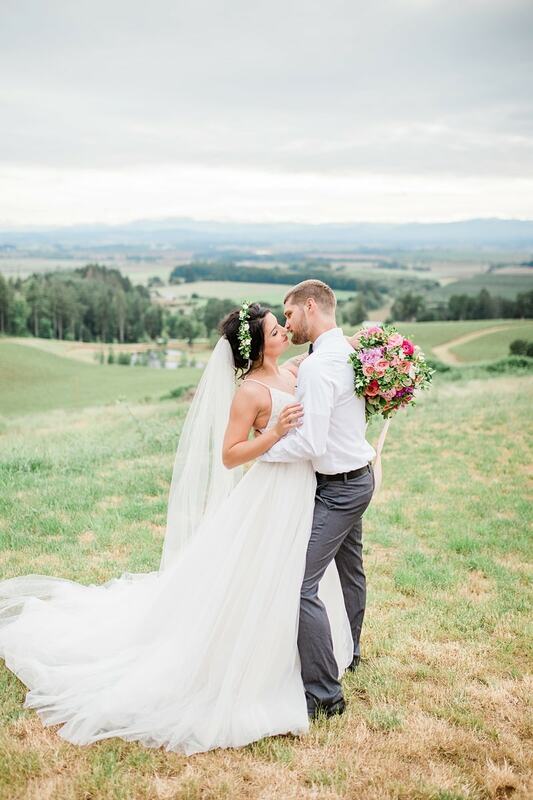 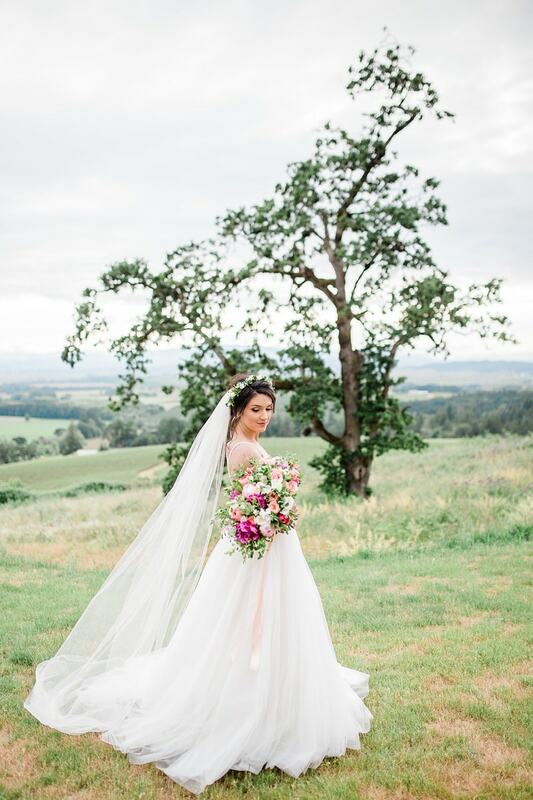 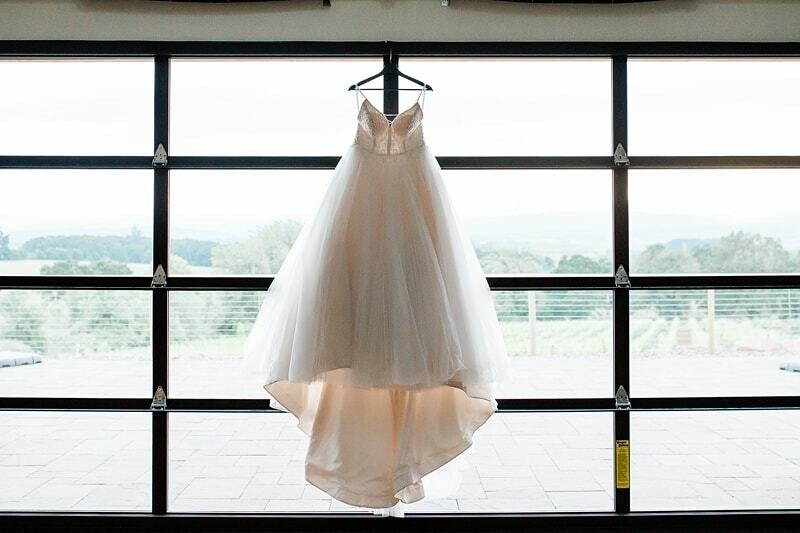 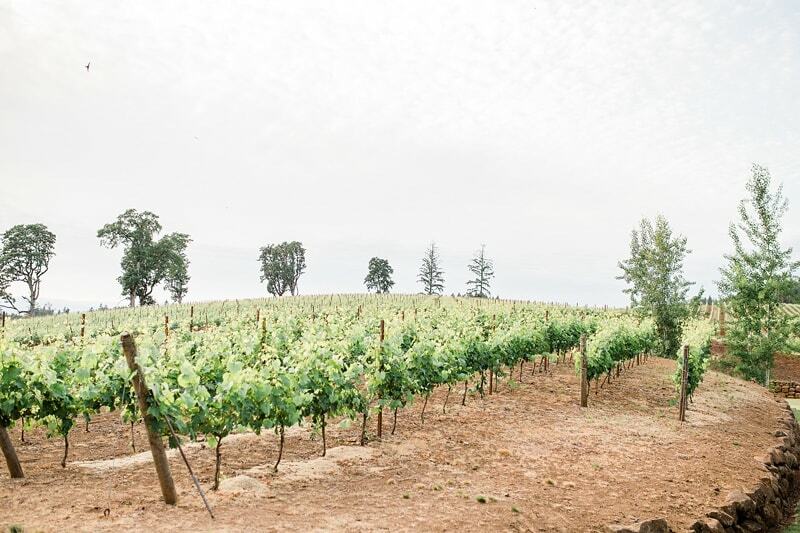 That’s why Peachy Keen Coordination teamed up with some amazing vendors to showcase their hidden gems–vibrant peonies and rolling vineyards— proving that Oregon can be the perfect setting for any wedding. 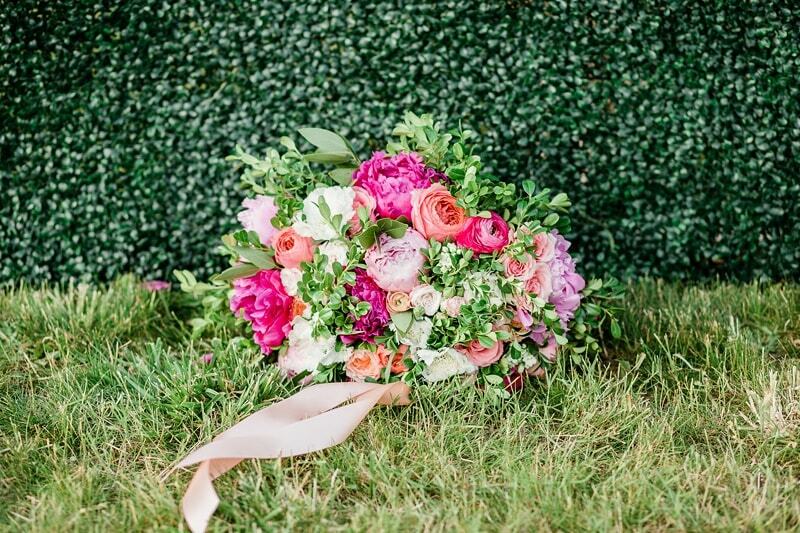 This styled wedding had an abundance of real peonies in hues of vibrant fuchsia, rich orange, pale pinks, and soft baby roses, creating a fun but elegant vibe that was mirrored in every detail. 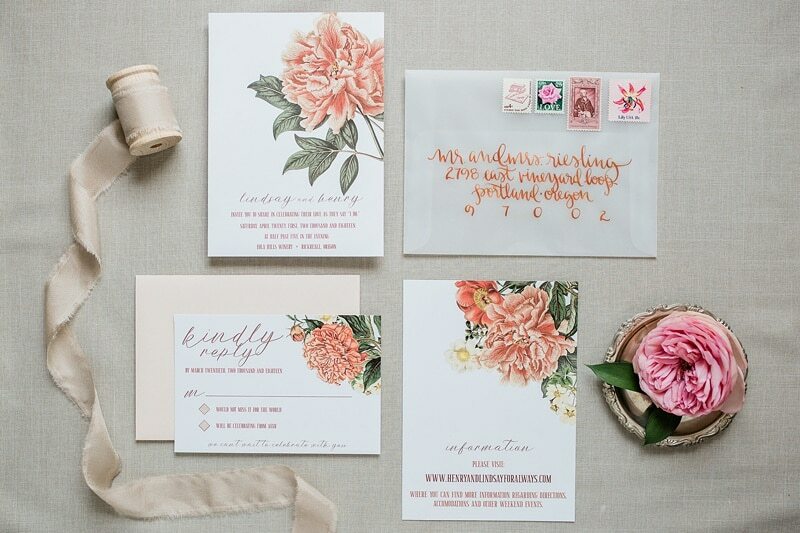 Everything down to the amazing stationery put a spotlight on the peony. 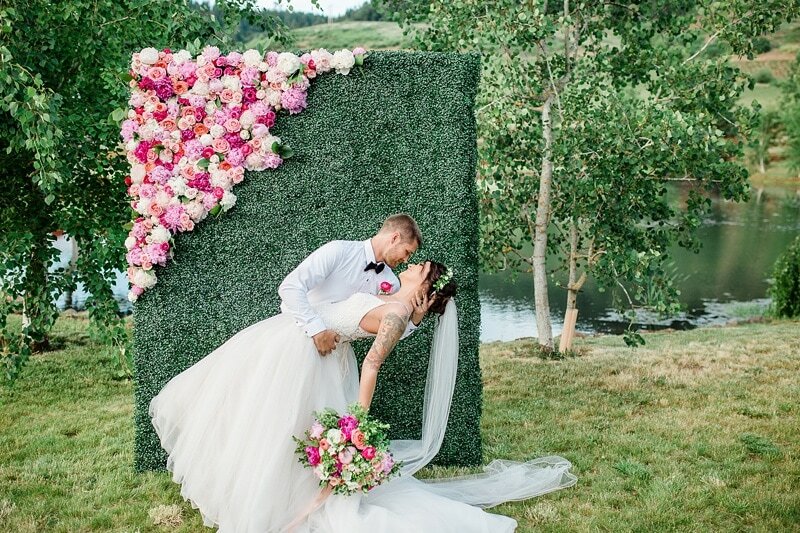 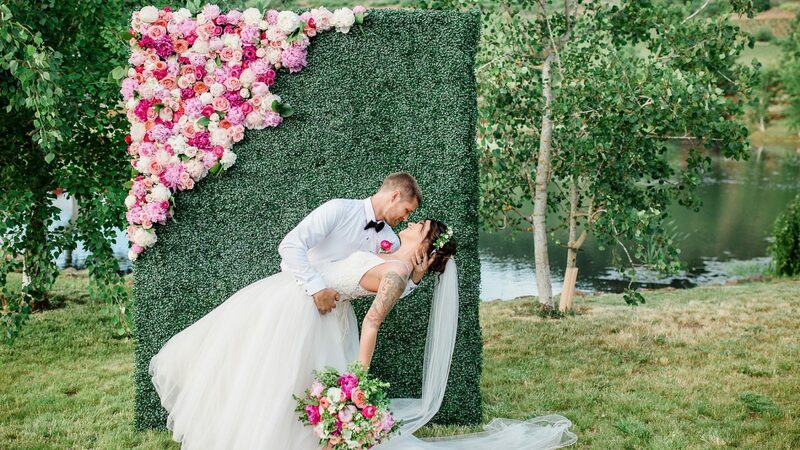 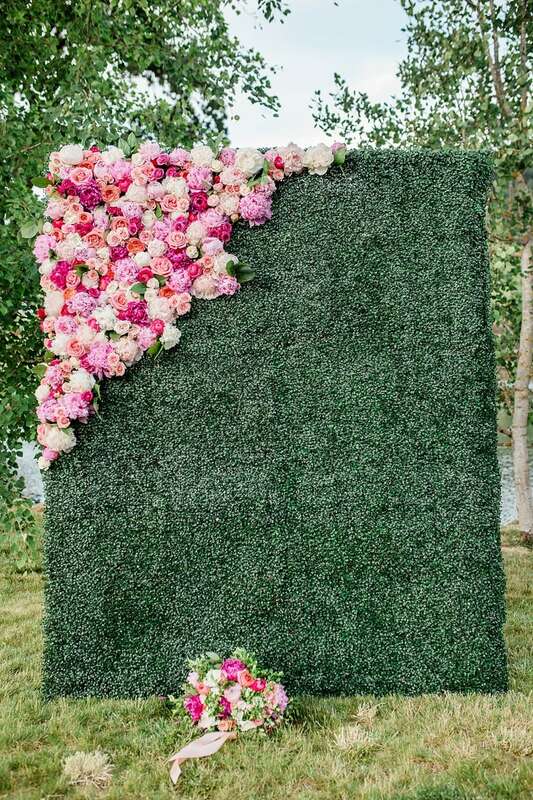 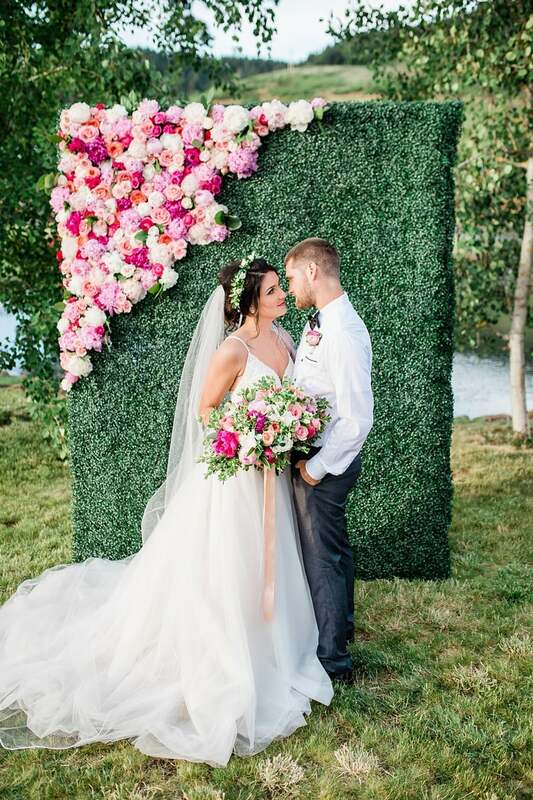 But my favorite detail has to be the unique floral wall –a true statement piece that took my breath away. 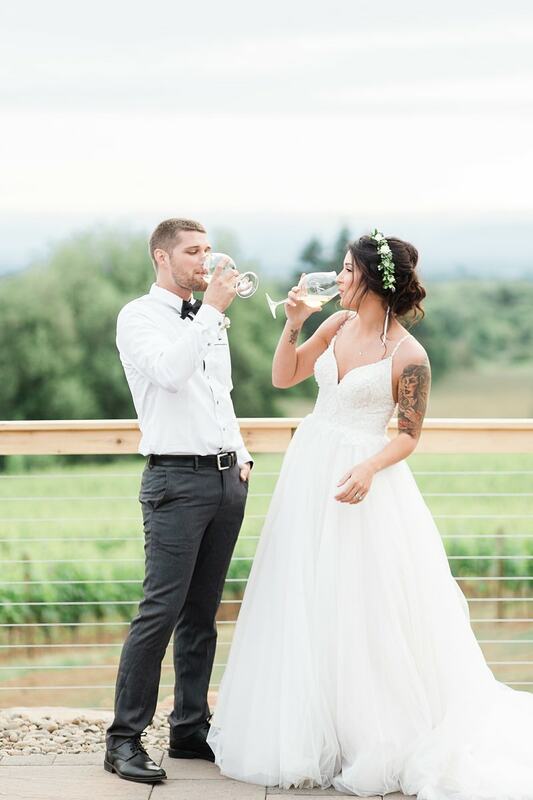 And I love everything about this couple’s style. 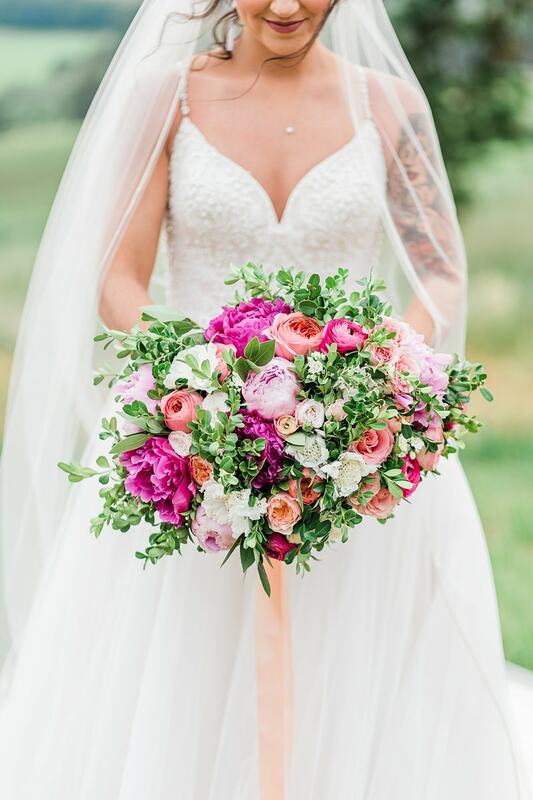 The bride’s ethereal dress combined with the flower crown and bouquet played into the theme perfectly but still allowed her to show off her tattoos and personality while looking like a goddess. 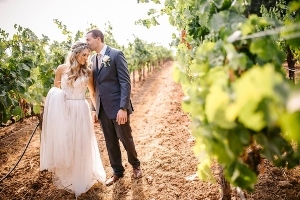 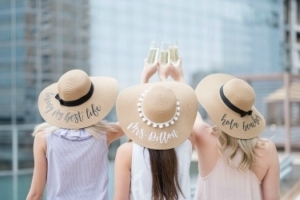 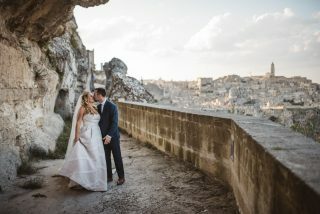 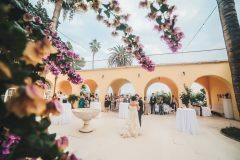 Any couple with a love for wine and a beautiful landscape can find a ton of inspiration in what this talented group of vendors was able to create together. 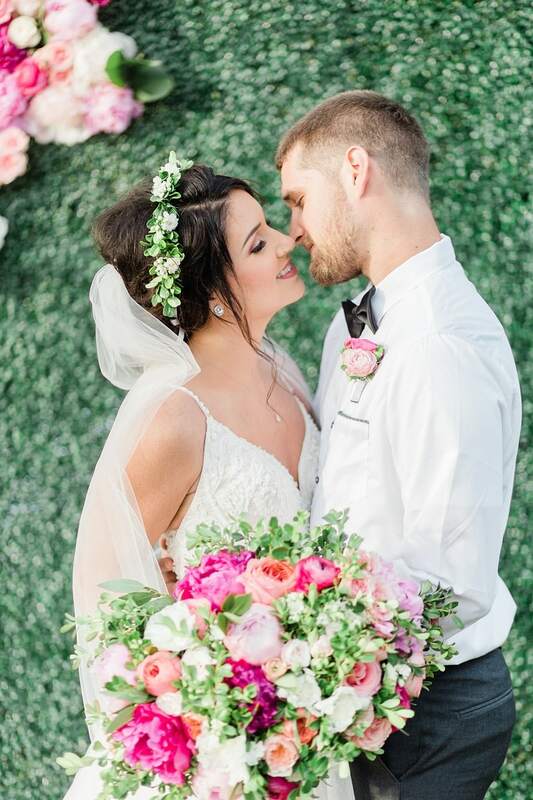 Kudos to Georgia Ruth Photography for capturing every detail so beautifully! 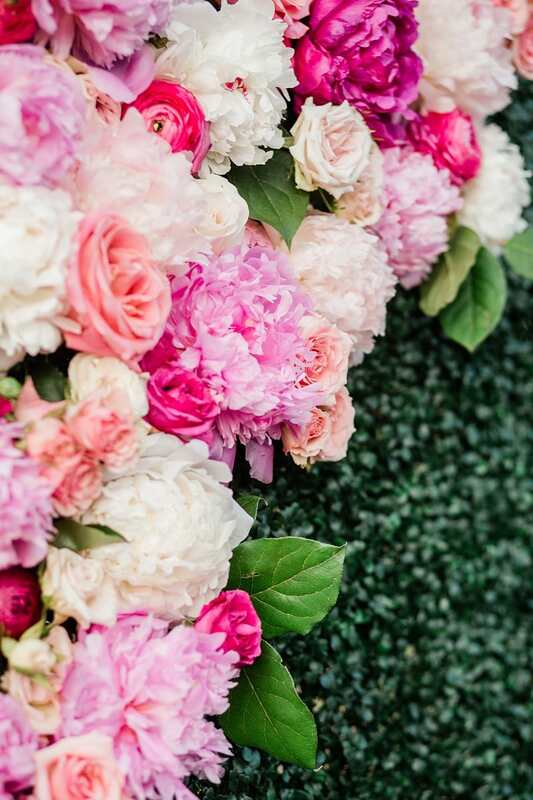 Our flowers were inspired by the bright Oregon peonies that our state is so lucky to have. 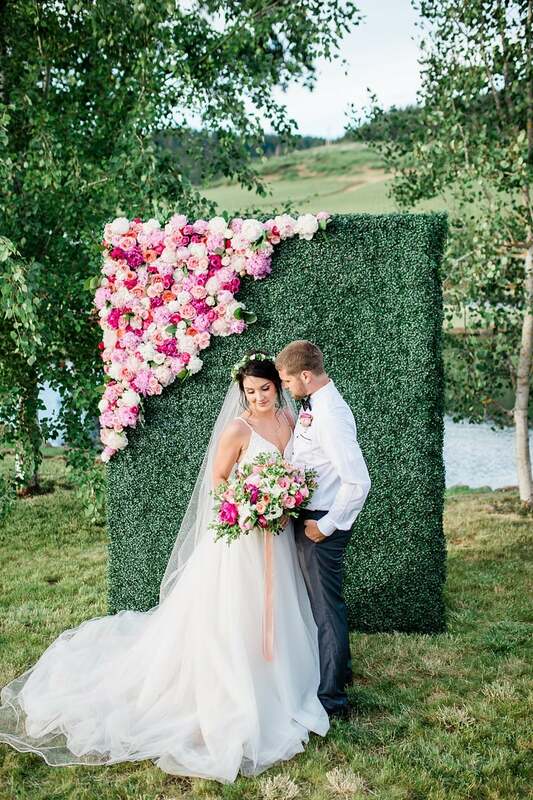 We wanted every single photo to feel flooded with peonies. 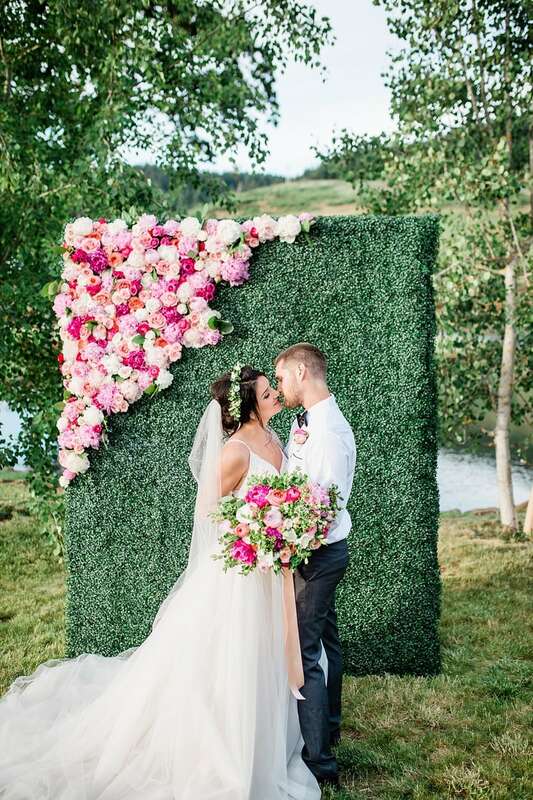 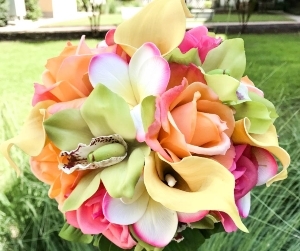 This was accomplished with a show stopper archway, but also with the bride’s huge bouquet and also adorable headpiece. 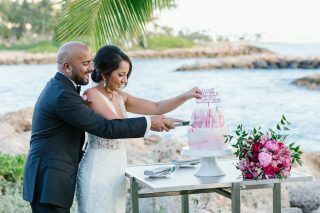 We wanted our cake to have clean lines, so decided to go with all white. 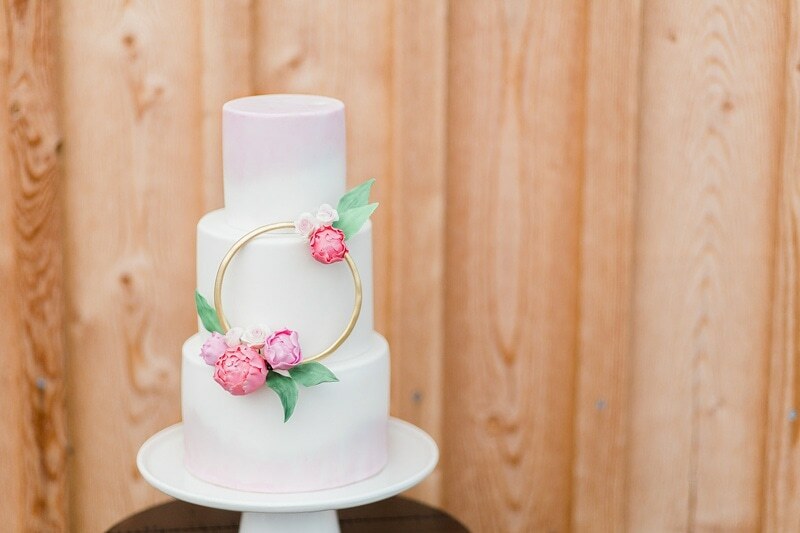 Our very talented cake artist created sugared peony blooms resting on a floral hoop to signify that love is never-ending. 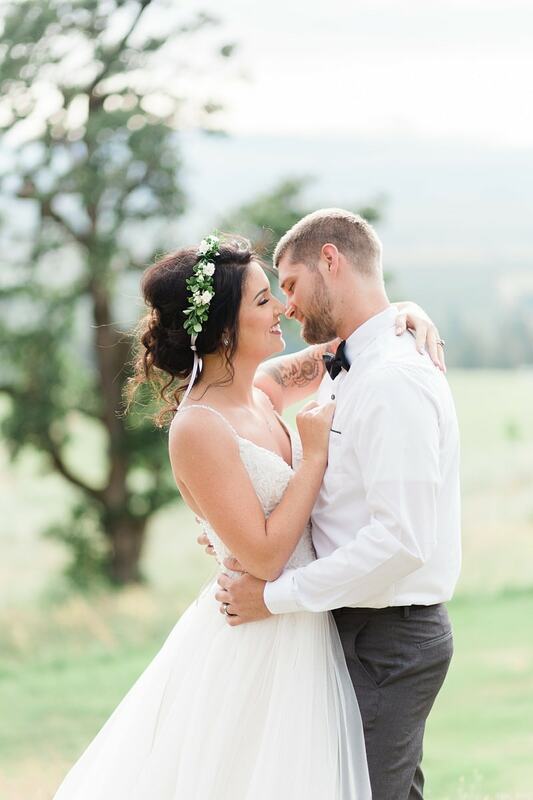 It’s a circle that has no end. 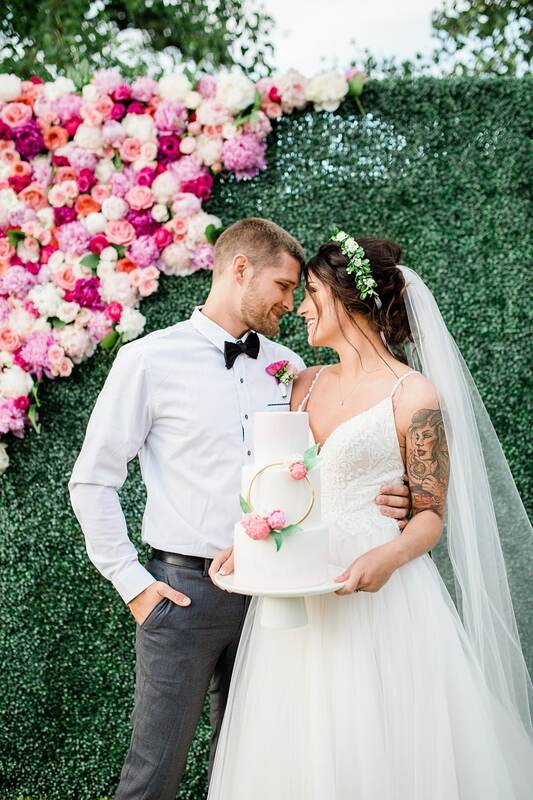 We loved the bride’s personal tattoos, so we wanted to ensure we had a dress that exposed it, but also beautifully framed it. 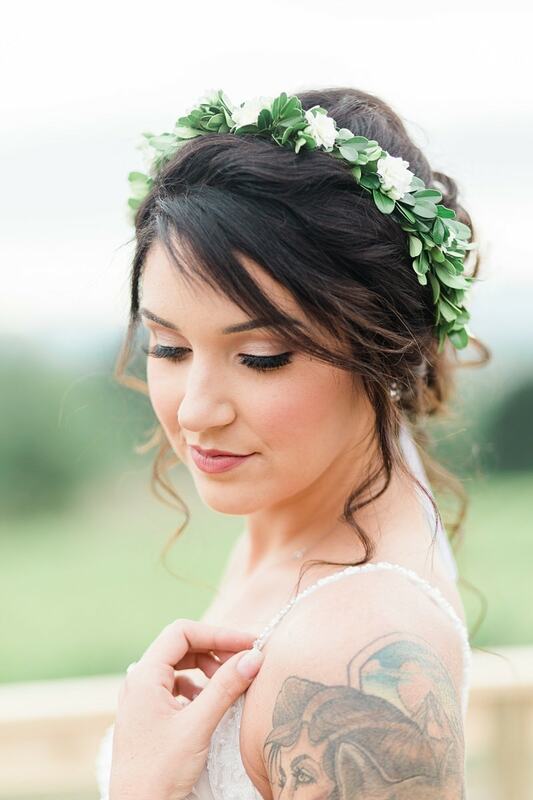 We also wanted to incorporate details that would not compete with her tattoos. 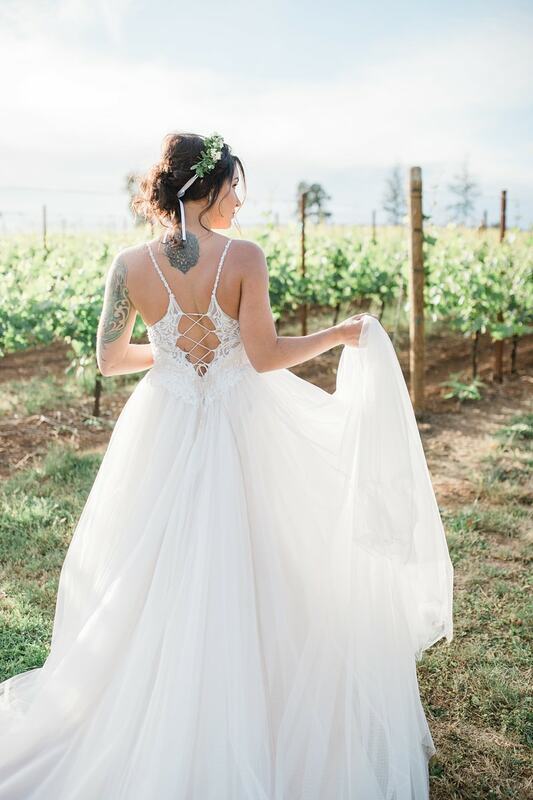 The lacing in the back was just the right touch of femininity with a slight plunge in the front for dramatic effect. 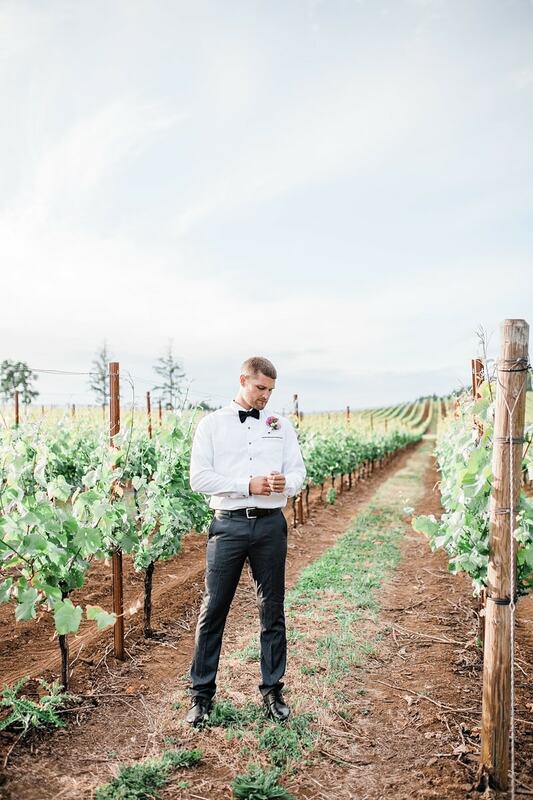 Our invitation suite was designed to incorporate more coral/orange into our shoot, which we have a deep love for in Oregon. 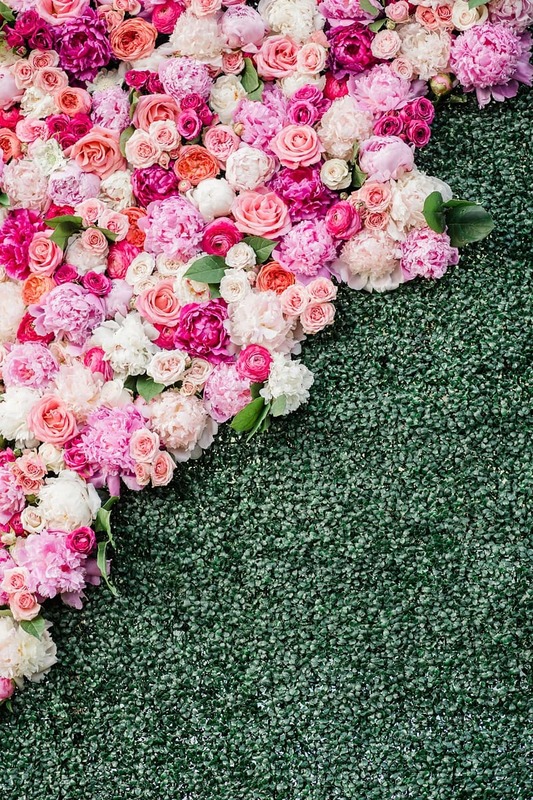 It was intended to be rich, but not compete with our florals (instead, pair well together).